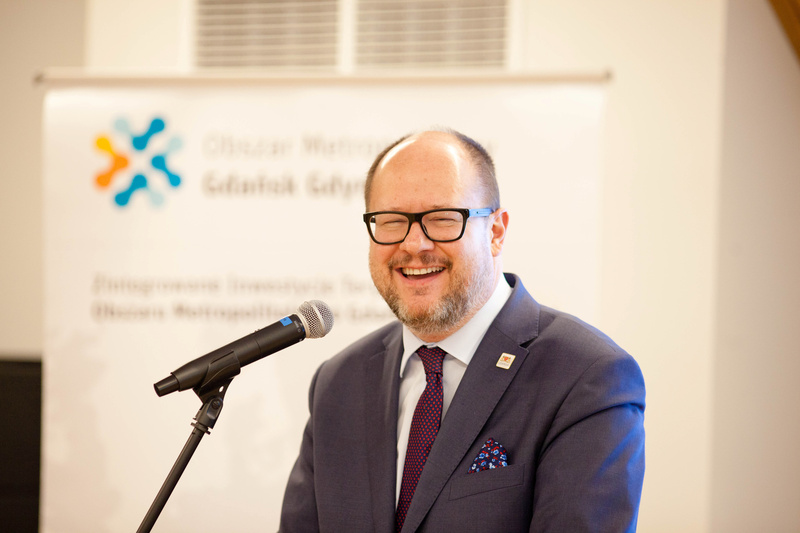 The murder of Pawel Adamowicz, the mayor of the Polish city Gdansk, should send shockwaves trembling through Europe. It should also be a wake-up call about where toxic political discourse is taking us. Adamwicz, a liberal mayor known for his vociferous and uncompromising defence of migrants, refugees, women and LGBT rights, was stabbed at a charity concert. His assailant is a 27-year-old with a record of violent crime and after the stabbing supposedly told the crowd he blamed Adamwicz’s former political party for his jailing in 2014. Adamwicz was abhorred by the far-right for his socially liberal outlook and while no evidence exists implicating far-right motivations for the attack, it’s understood that Poland has experienced a rise in social tensions and increasing normalisation of hate speech. Europe’s liberal values is under siege and though many would like to assume the pressure is being exclusively applied externally from reactionary Islamist movements and regimes, it also exists at home with the intolerance and bigotry of the far-right. Increasingly they have shown themselves not averse to assaulting liberal politicians or threatening them with such. Politics has polarised society and created these divides in which those belonging to the other side are traitors and not worth reconnecting with. The politics of community and solidarity, in which we build common bonds with each other has been lost. It would be foolish to deny this issue does not exist on the left given the increasing bouts of anti-Semitism as well as the growing disconnect with blue-collar workers across many western societies. But the discourse around migrants and refugees, in painting them as threats to civilization has facilitated the targeting of liberal activists and politicians as traitors for risking national security by opening the borders to these people. Britain has seen the dangerous consequences of allowing unchecked right-wing populist language to pervade our politics. The murder of Labour MP Jo Cox by a far-right sympathizer cannot be seen in isolation from her staunch defence of immigration. Her words, “more in common” have been immortalised in migrant campaigning, but it’s a reminder of how language matters. The People’s Vote campaign is technocratic, elitist and disconnected from the blue-collar working-class communities of the north which have been left behind by globalisation as London has enjoyed excess prosperity. But that does not excuse the terrible language around Anna Soubry which led to her harrowing abuse as she was essentially harassed by a far-right mob led by James Goddard. Even if you were prepared to ignore this, you cannot ignore the hate crime that rose after Brexit, aimed at EU migrants and Muslims. These were not small spurts but astronomical spikes that was all about generating a hostile environment for minorities. The EU referendum had been toxic in its depiction of immigration and the far-right was euphoric in its abuse. This is about remembering the basic principle of human rights, democracy and civil liberty, and how they work as the moral trident governing our political systems. But the far-right has threatened this repeatedly, abusing our democracy, seeking to undermine our commitment to human rights and liberties, and in doing so have contributed to the moral decline in our political discourse. They are content to watch children drown off boats fleeing war and will harangue anyone who makes a defence of that. There are some who have sought to use the shadow of the far-right hanging over our politics as an argument against another referendum on Brexit. They might, shamelessly, cite Adamowicz’s murder as proof of that. But it’s clear the far-right will behave abusively whatever the outcome. The murder of a popular liberal politician in Poland should convey a warning to everyone that we must reel in our discourse because it has strayed too far into toxicity. It is fertilising Europe with hatred against minorities and those who seek to defend them. In times like this we should celebrate those who have a steadfast commitment to human rights. We should be glad for charities like Action Aid, Afghanistan and Central Asian Association, Refugee Action and others who seek to make new homes for asylum seekers and help them connect with new communities. This is the best defence of our human rights.